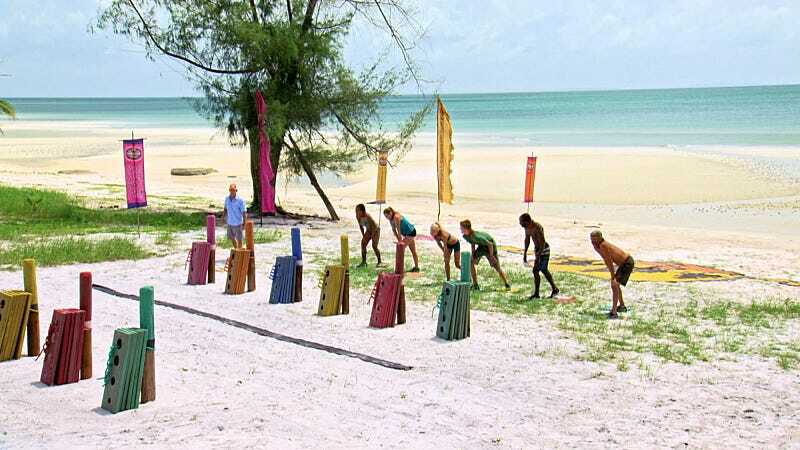 Survivor Second Chance Open Thread - FINALE! IT’S HERE FINALLY! First, let me celebrate the ouster of Abi-Maria Gomes, not because I was happy to see her booted, but because she gives such great exit interviews. Second, let us all hope and pray for a Jeremy win. If he doesn’t win for Val using her two idols, I will lose all hope. The editors wouldn’t set us up like this just to knock us that far down, would they? I mean, don’t give us moments like this if the man is not going to win! *Cries along* I agree, Jeremy! So, I guess you all know who I’m rooting for. Other wins I would be happy with: Kelley, Keith (because I have a troll deep down inside me and would just love for this to happen). People who I would be like “eh, I mean okay whatever?” if they won: Tasha, Kimmi. People who definitely should never, ever win Survivor because they are literally the worst: Spencer Bledsoe. Y’all this has been a fun season! I don’t know if I can wait until February until season 32! P.S. Lol Vytas was banned.